Alfa Romeo Giulia 2.9 V6 BiTurbo Review and Deals 2019 | What Car? Twin-turbo V6 performance version makes a heady-sounding 503bhp in this Mercedes-AMG C63 rival. 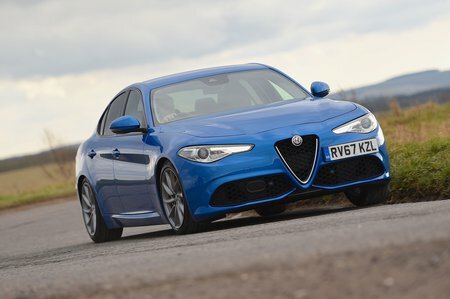 It revs keenly, but wants for a little mid-range torque – and a really soulful Alfa V6 soundtrack. Standard eight-speed auto ‘box works well with it on the road, but doesn’t always shift quickly enough when you’re driving with serious intent.